We studied the mineralogical properties and chemical composition of different granites using energy dispersive X-ray spectroscopy coupled with scanning electron microscopy to understand the relationship between granite signatures and soil characteristics, including weathering patterns and soil fertility status. The discriminant analysis (DA) was based on soil physical and chemical properties and was used to differentiate soils developed from I- and S-type granites across contrasting climatic conditions in northeast Brazil. The DA identified the highest values of organic carbon, clay and plant nutrients as key variables to recognize soil profiles derived from I-type granites. In contrast, the greater sand contents and Al saturation distinguished soils developed from S-type granites. These results were related to the mineralogical characteristics of each granite type, such as a high percentage of silica-bearing minerals in the S-type granites. The highest concentrations of K, Ca, Mg, and P in I-type granites were found in feldspars, amphiboles, and apatite. These elements account for the majority of nutrients derived in their soil profiles. However, it seems that the harsh conditions of the humid tropical environment equalized the effect of the rocks on weathering rates-the difference in chemical index of alteration is more extreme in the dry region. 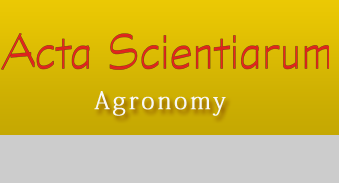 soil science; soil genesis; soil fertility; chemical index of alteration; northeastern Brazil. Gee, G. W., & Or, D. (2002). Particle size analysis. In J. H. Dane, & C. T. Topp (Ed. ), Methods of soil analysis: physical methods (p. 255-289). Madison, WI: SSSA. IUSS Working Group WRB. (2014). World Reference Base for Soil Resources (World Soil Resources Report No. 106). Rome, IT: FAO. Murphy, C. P. (1986). Thin section preparation of soils and sediments. Berkhanmsterd: Academic Publis. National Institute of Standards and Technology [NIST]. (2002). Standard Reference Materials -SRM 2709, 2710 and 2711. Addendum Issue Date: 18 January, 2002.